What is an Assistive Technology loan closet? How long may I keep the equipment? What kinds of equipment do they have? How do I find a local program? Assistive Technology (AT) loan closets are programs that lend AT items to people with disabilities. This tip sheet can help you get started finding the AT item that is right for you. Assistive Technology (AT): AT or adapted equipment means any item a person needs to keep up or do better in school or at work, or to help with daily activities. There are many kinds of AT items. They can help people walk, talk or hear, and more. Loan closets make short-term and long-term loans. The length of loan varies. Some loan programs let you use the item as long as you need it others have a set time period for loan. But they all expect you to return the item when you no longer need it. Most loan closets do not charge a fee to borrow equipment. Some programs require a deposit. They return your deposit when you return the item. Some ask for a cash donation to help with program costs. Each loan program has different equipment. 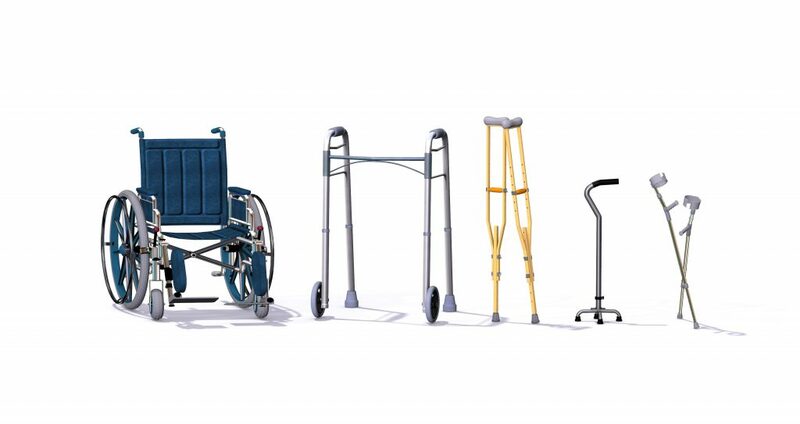 Typical items can include, but are not limited to: wheelchairs, commodes, canes, walkers, shower chairs, crutches and hospital beds. There are also specialized loan closets. These programs loan items to people with specific disabilities or needs. These can include people who have trouble speaking or seeing. Other groups may offer informal equipment loan programs. The groups listed below may have a loan closet in your community. Look for them online. Get in touch with local churches or clergy to ask for their help. Your own church or its members may help you find AT items. They may ask members from other churches or community service groups. Remember that AT items are often stored away in garages and basements when no longer needed. Crutches may be available at your local pharmacy at no cost. Do they have an AT equipment loan program? Do they have the item you need? Disclaimer: This tip sheet is for information only. It cannot guarantee funding. Iowa Compass makes regular updates to give current and accurate information. We cannot be held liable for any outdated or incorrect information.